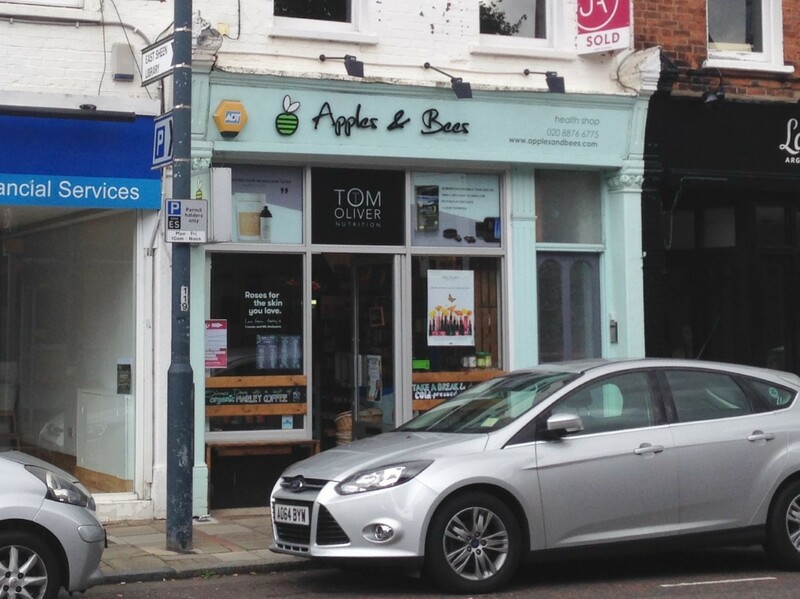 Apples & Bees is an independent health store located on Sheen Lane in East Sheen. It opened a good couple of years ago now, but I've only recently ventured in. I had previously assumed its main product focus was on organic cosmetics and natural beauty items as this is predominantly what you can see from the outside, but if you venture further in there is a large area devoted to food and healthy eating too. It was after I started on a vegan diet a couple of months ago that I properly discovered Apples & Bees. They stock a lot of vegan alternatives such as spread, mayonnaise and cheese. They also have a good range of different bread varieties, noodles and pasta if, like me, you try to avoid having too much wheat in your diet. 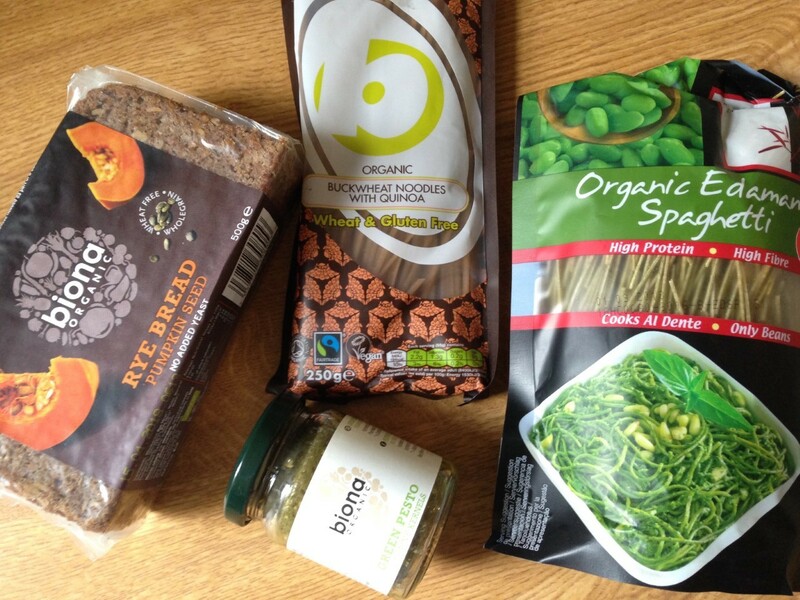 On my last visit, I came away with a vegan pesto, some edamame bean spaghetti, quinoa and buckwheat noodles and some rye bread. As expected, these products cost more than if you were to get the bulk standard varieties at a supermarket, but they are more unusual, organic and a healthier alternative. If you are only buying a few bits, it won't bankrupt you! 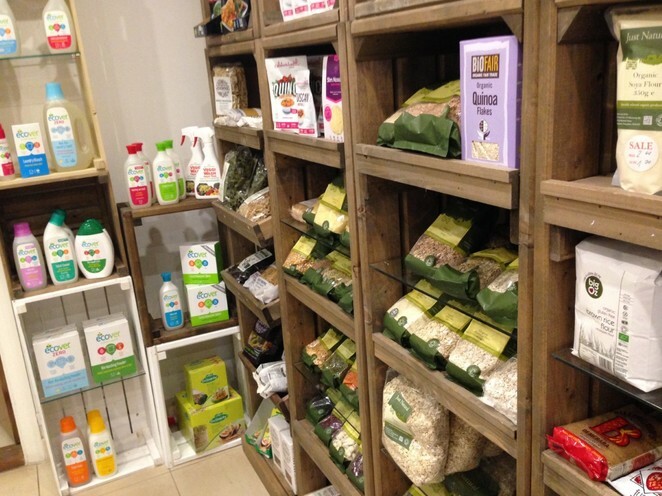 Apples & Bees also stock a range of local honey, vitamins, supplements and protein powders, as well as organic cold-pressed juices too. If you are local to the area, then it's well worth a look in to see what they have to offer, but if not, they have an online shop, and offer free UK delivery. You'll find them on Facebook too. Apples & Bees is located at 107 Sheen Lane, with a sister store in Battersea. The nearest train station is Mortlake.